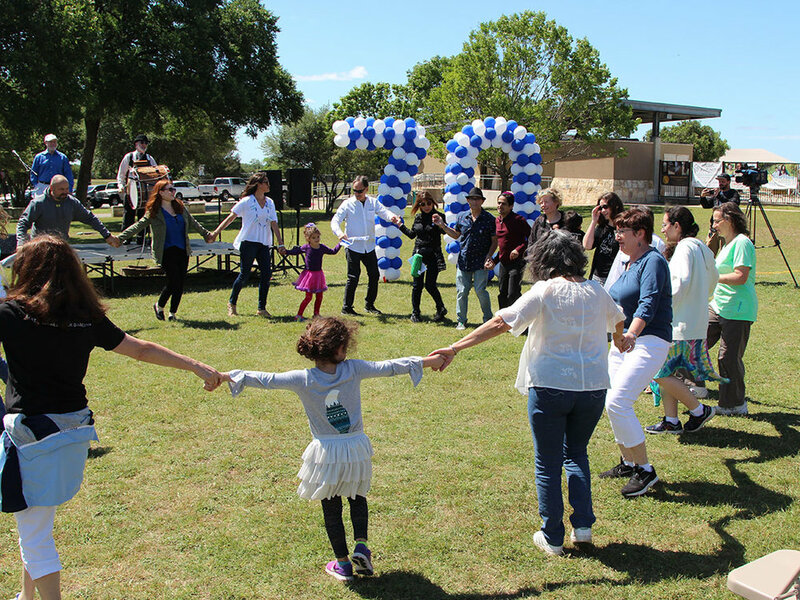 On April 22, hundreds of community members and visitors came to the Dell Jewish Community Campus to celebrate Yom HaAtzmaut, Israel’s 70th Independence Day. The free event, hosted by Shalom Austin and open to the public, featured more than 20 local Jewish community organizations each offering interactive learning experiences, games, food and activities relating to Israel and Israeli culture. Kids and adults alike enjoyed the music of renowned Jewish rock musician Rick Recht. Local klezmer musical group Mazel Tov Kocktail Hour led the community in what aimed to be the largest hora (Jewish celebratory circle dance) in Central Texas. In honor of Israel’s 70th Independence Day, District 10 Council Member Alison Alter issued a proclamation from the city to officially recognize April 22, 2018 as Israel at 70 Day. 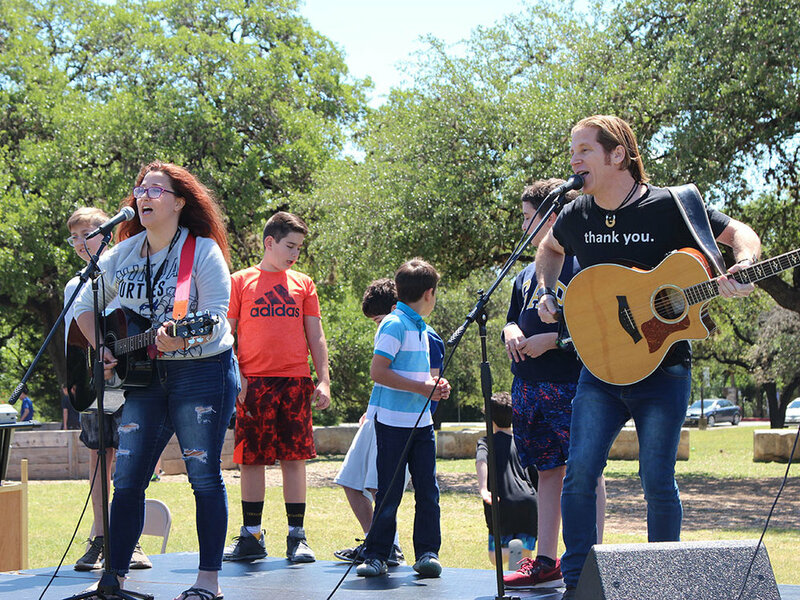 Yom HaAtzmaut was the closing event for what Shalom Austin called a “Meaningful Month” of programs commemorating Israel, which started on April 8 with a record-breaking 500+ crowd for Yom HaShoah (Holocaust Remembrance). Shalom Austin has been connected to Israel through Partnership2Gether since 2007. P2G is a program with the Jewish Agency for Israel located in the Western Galilee promoting people-to-people relationships. In addition to sending and receiving numerous visiting delegation, Shalom Austin recently hosted seven Israeli educators from the partnership to collaborate on cross-cultural learning programs with the Early Childhood Program and elementary and middle school grade children in local Jewish religious schools. For more information, visit shalomaustin.org/israel.